Looking for a fuel efficient, comfortable and exciting Honda that is more than just a classic coupe or sedan? A certified used 2013 Honda Accord is the car for you! Safe and reliable, a CPO 2013 Honda Accord for sale does double duty as a fast and fun, yet still family friendly, comfortable vehicle. 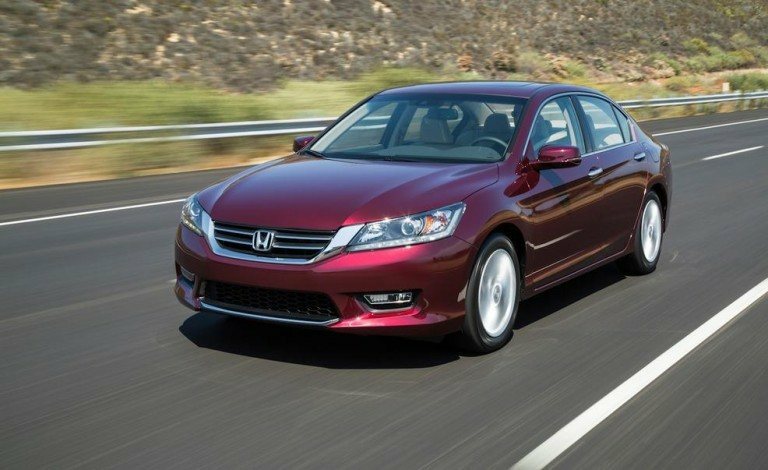 The 2013 model of the Honda Accord was fully redesigned, taking this bestselling North American vehicle to the next level of classics. A used 2013 Honda Accord will change the way you look at gently used vehicles. As one of the roomiest vehicles in its class, you’ll have the space you need to pack up the family for your next vacation, or fill up the trunk from a weekend of shopping. The Accord comes standard with a 2.4-liter four-cylinder engine, with an estimated 7.8L/100KM in the city, and 6.7L/100KM highway, excellent numbers for a vehicle in its class. A certified preowned 2013 Honda Accord used from Formula Honda should definitely be on your list of next vehicles! We are actively attempting to source used 2013 Honda Accord models. Please fill out the form below and we will find one for you.